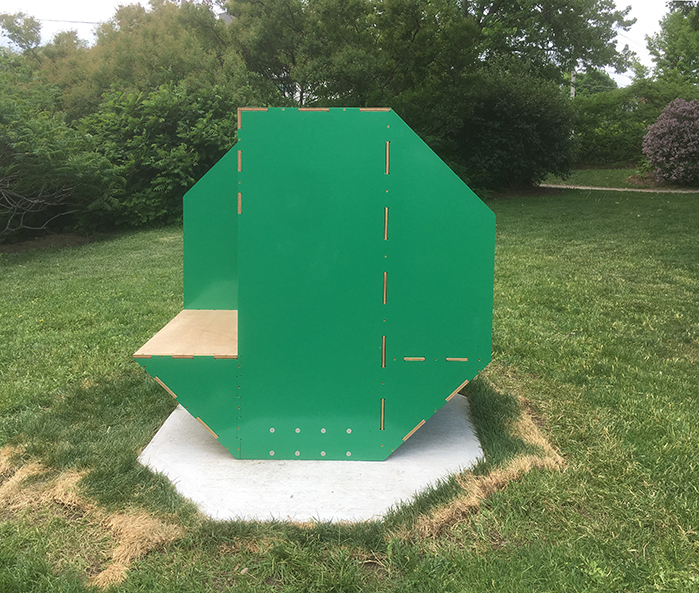 Inspired by the modular architectural projects of Moshe Safdie, Laura Marotta has constructed a geometric sculpture made from plywood and epoxy paint. The work suggests functionality with its components scaled to correspond to steps or bench heights and invites viewers to explore the horizontal planes as seating areas and engage with openings for viewing that frame the garden setting. Viewed from different vantage points, the work explores the octagon with dynamic and varied permutations of repeating shapes. This project has been supported by the City of Hamilton, City Enrichment Fund ARTS PROGRAM - Creation and Presentation, Deunch Contracting and the Cambridge Sculpture Garden.